Our Daily Sykes #81 – A Splendid Waterfall, but Where? Another naked landscape left by Horace Sykes without a stitch of explanation. Such a splendid waterfall is surely familiar to many, but not to me. And I don't know how to start, except to hope that some reader will lead the rest of us there. 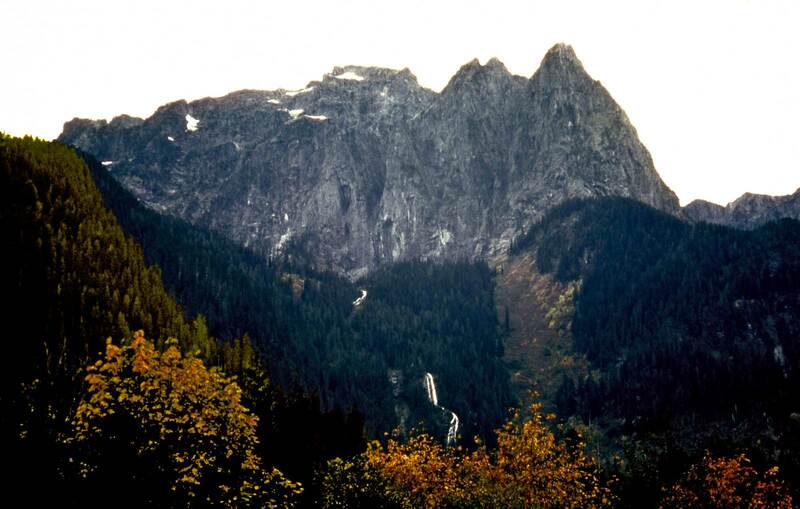 Bridal Veil off hiway 2 near Index? I’ll jump in my rent-free Googlecopter and check it out. The sky at least is right for it. I remember a Bridal Veil on the Columbia Gorge that was not so long and stepped as this.